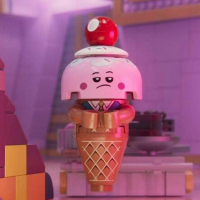 The chunk with the music note on top looks like part of #41103. Pink houses from #41029? Back left, parts of #41004 combined differently? 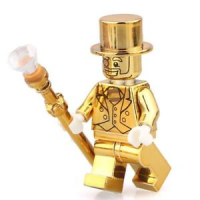 Does anyone know the Minifigure number for the Magazine Gift set SW911943? I've tried to do it by matching parts with existing Luke Skywalker minifigs without any success. Thanks in advance. 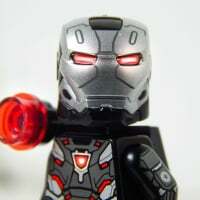 @Rockpig3 According to Bricklink it's sw0778. 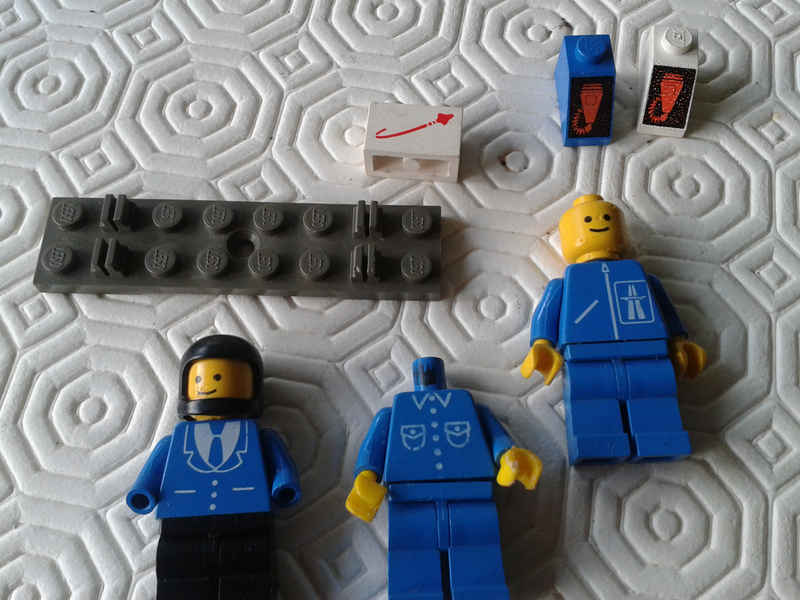 So the same minifig as we got in #75159 Death Star, #75173 Luke's Landspeeder and the recent #75220 Sandcrawler. Any ideas on these please? The brickheadz base on the right could be from any Series 2 Brickheadz. The minifigure is Gorzan the gorilla, from The Legends of Chima; that version of him came in #70130 and #70136. He appears to be holding custom weapon. 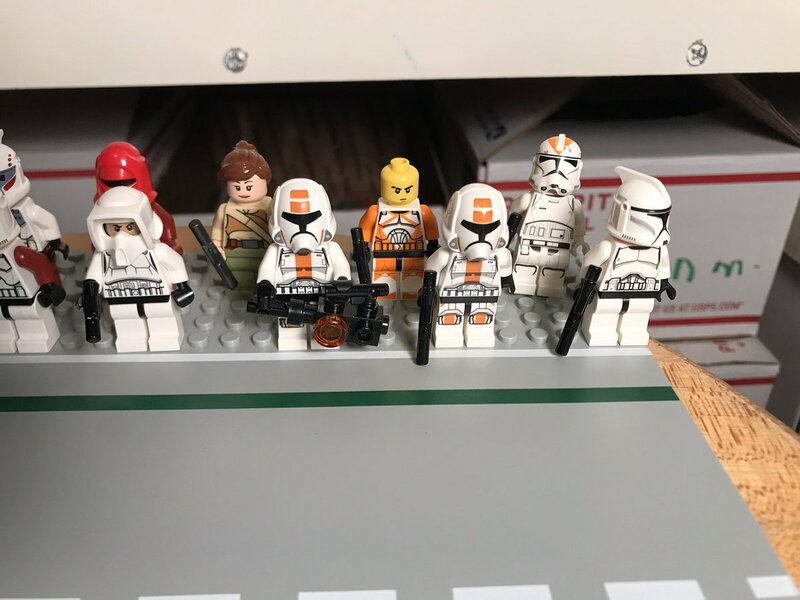 Am I correct in assuming the brick on the left is the "yellowish orange" used commonly in place of yellow in modern sets? 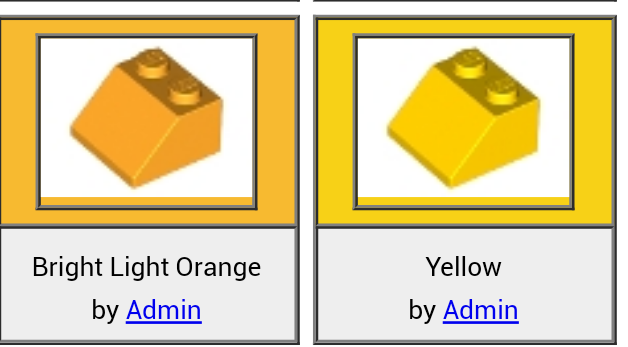 I need the brick in that colour, and not in minifig skin yellow. ^Ignore that. I'm an idiot and sorted it out. 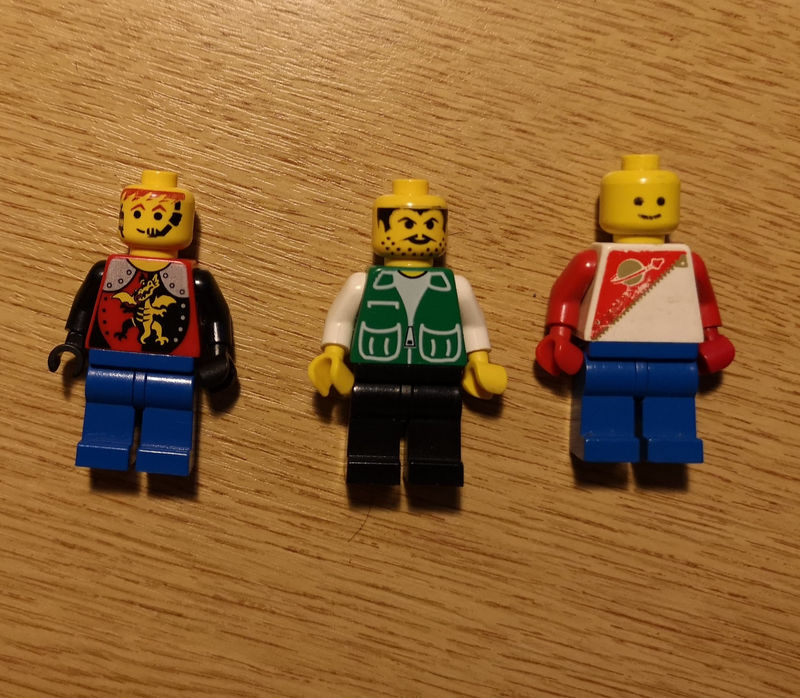 Does anyone know which set these figures go to? ^The mysterious invisible set. Only available on February 30th each year I believe? It may just be me, but I'm not seeing any pictures? The heads are garbage, I'd toss those. These were easy, you should try it yourself some day. Never throw out anything Lego related. ^ I never keep chewed pieces, they are just too ugly to look at. Put them in a jar, then add a few drops of acetone per head. Leave for a day or so and add more acetone if necessary, a little at a time. You end up with LEGO paint. No! never do that! I keep everything Lego. Well I guess my collection is a bit on the small side but it will turn into a Lego apartment after college. If it is junk, it is junk. Those toothed heads are worthless. Similarly, heavily toothed bricks make anything you build with them look like crap and also show you don't care about the quality of the display. If it is a common part and new or decent condition used ones are cheap, then replace them and get rid of the junk. If you can reuse them (such as making paint like above) then all the better. I have a vial of fleshie paint made from a few bad quality heads, it is ideal for modifying parts such as the CMF S3 elf hairpiece, to change the ears from yellow to light flesh. A couple of coats and you have a perfect colour match. @CCC I never thought of doing that. I don't think I'd do it but I guess it would work if that's what you wanted. I don't suppose you'd mind posting a picture of the "painted " Parts? I have a Lego Friends Mia set but no instructions. I am guessing it is some sort of basketball set. There is a basketball net, orange ball, Mia (obviously!) and oddly a gold frog. For some reason I can't upload a photo but does anyone know the set number. Oh hang on. 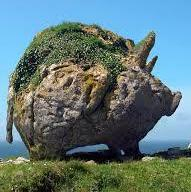 I have found it. It's parts from an amusmemt park set but not the whole set. Oh well. Some cool parts though. The space fig is the closest with the wrong color legs, should be red. the other two aren't figs. A head with printed microphone doesn't belong on a castle fig. The one in the center almost always has a head with sunglasses on. This is my 1st post. Thanks for welcoming me. 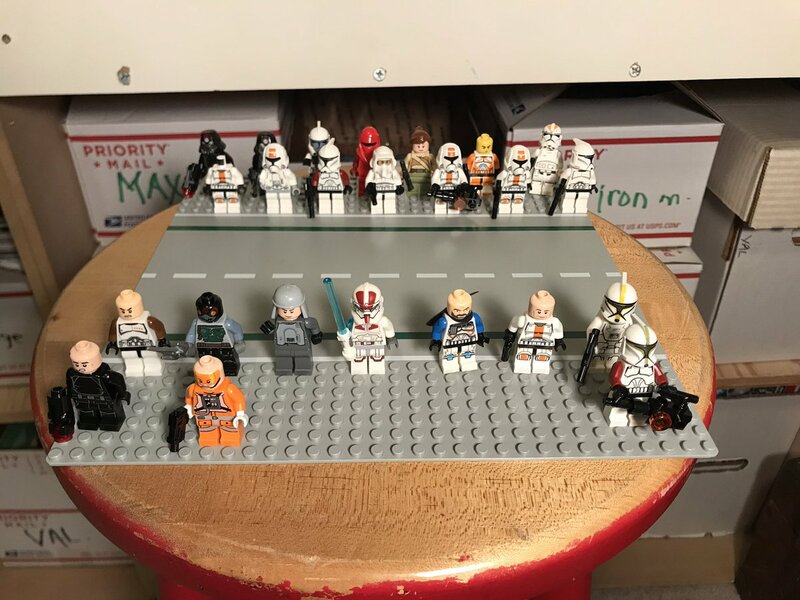 My son has collected Star Wars Legos for years, but due to play, many have lost their correct parts/accessories. What is the best/easiest way to identify them, reassemble them, and title them if we go to resale? Thanks! @SketchCards - welcome to Brickset! Also, if you search that page for "storm*", the asterisk wildcard shows you all the Star Wars figures with "storm" in the name. ^I just learned something new for my searches. Thank you @Bobflip! In the case of the photos a few posts up, you may also need to search "clone*" or "trooper*"
No probs! Though your second example isn't quite there. The asterisk indicates a stream of characters (including no characters), so "trooper*" would return any figures called, say, "trooper", "troopermatic", "troopersimpson" and "trooper53uoha89roighsre"... but not "stormtrooper". For this, you would need "*trooper". Though it turns out my example isn't perfect either. Searching for "stormtrooper" will yield all the same hits as "storm*", but if there were figures called "storm trooper", only the second search term would work. I typed "storm*" because I couldn't remember if it was one word or two. The link I posted stripped out the asterisk unfortunately, but it's added easily enough! ^Thanks for the correction. I didn't test my suggestion obviously! ^ the one on the left is the death trooper form 2016 sw0807. The other is a tie pilot but not sure on the code or year. @stlux Many thanks! Just found the Technic gearbox that only came in that set as well, so might have a go at putting it back together if I have enough of the other parts. 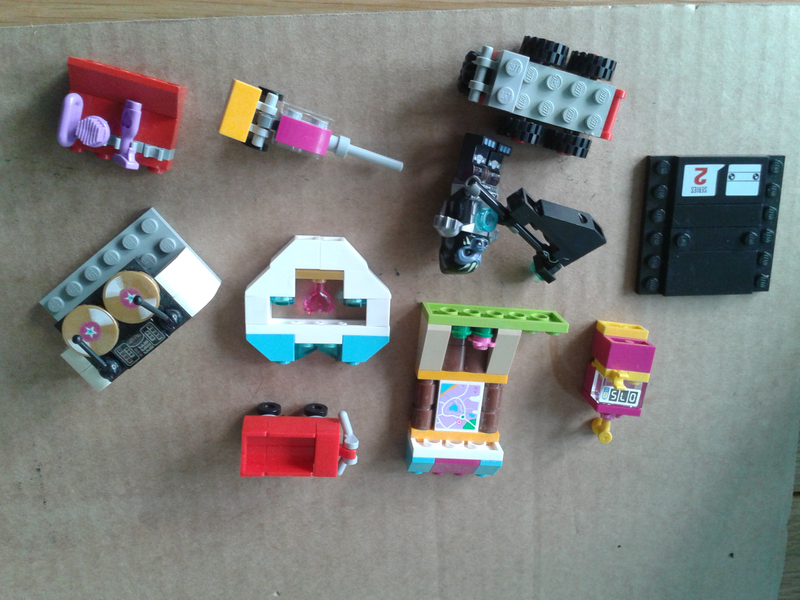 I have that full set if you want any more info (including what's inside the control brick). Though the internet probably has all of it. Note: It does weird things as it ages, such as make crackling noises when turned off. I have yet to find a fix though, so just take out the batteries if it keeps doing it. The torso on the dude on the left looks like the one of Juno Eclipse from the Rogue Shadow set. 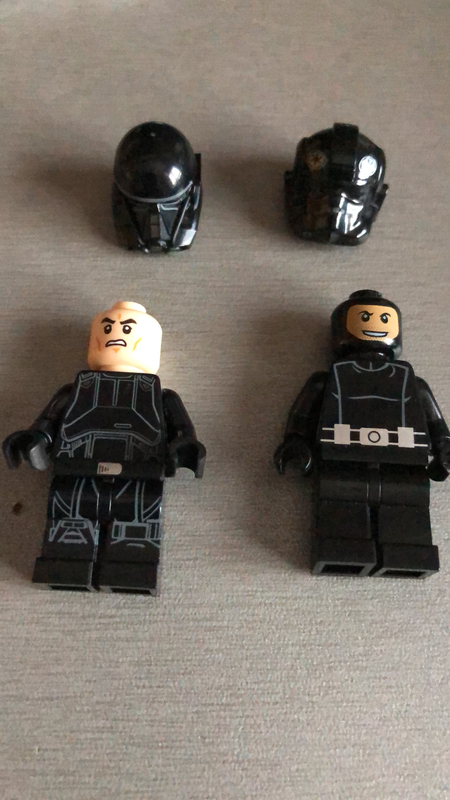 The one on the left is the Death Trooper, but the one on the right is made of parts from various figures- the torso is from SW0294 Imperial Pilot, or SW0208 Imperial Trooper. The head is from several different Imperials, and I can't tell for certain which pilot the helmet is from. But I'm pretty sure that the parts on the right don't go together. 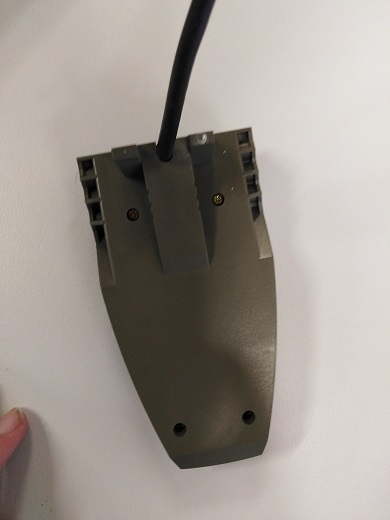 Found this doohickey in a box of computer cables at a college earlier today. Can't fathom what it's from or what it does. 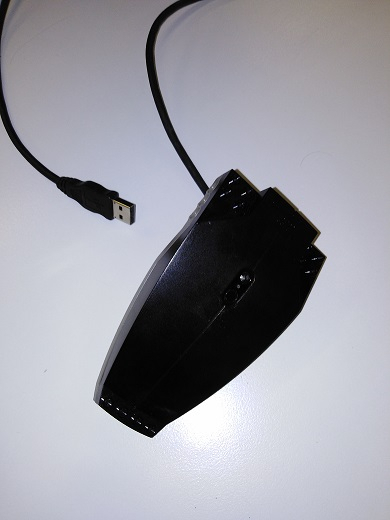 The top part and the cable are standard Lego black. The bottom part appears to be old grey, but it could potentially be faded bley. The cable is a USB - I didn't have time to check what type, though I imagine an earlier version. There are studs at the each end all with the Lego logo inside them, which also appears on one end on a square panel. 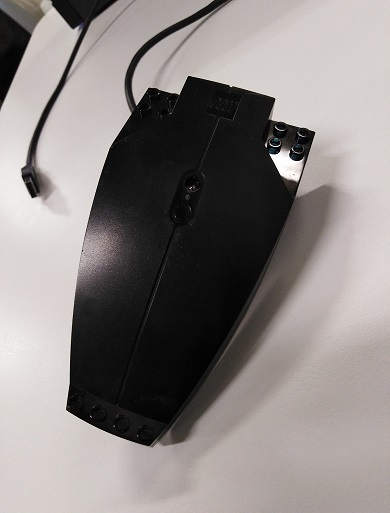 I don't recognise it and can't find it online. Is it from an old Mindstorms set or...?